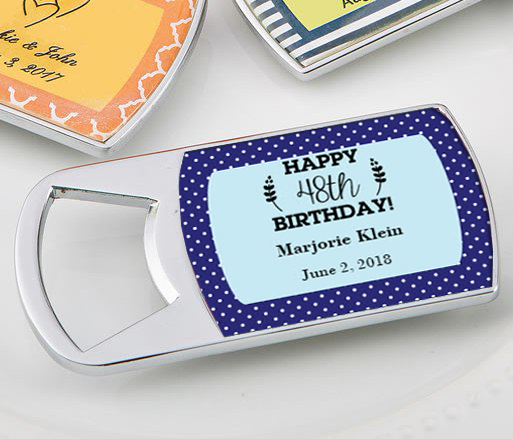 These solid metal personalized bottle openers are perfect for any occasion. There are three components to this item to be assembled. 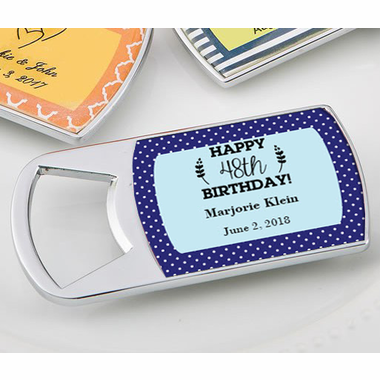 First, there is a caste metal bottle opener, next there are sheets of custom labels to be placed on each bottle opener. Finally there is a epoxy dome to protect and preserve the label. Each measures 3 1/4" x 1 5/8" and comes bulk packed.